If you are a lifetime assistant like me, you move around a lot. It just comes with the territory. I am at my third new address in the last three years. I am sure Christmas cards have already been sent to Gainesville and Lubbock with my name on them. Maybe Santa will forward them to me at Clemson now. During a recruiting trip this month, I was in a hotel room and a former player who I don’t hear from that often sent me a text asking how I was doing. I smiled to myself and thought, “Fifty bucks she’s about ask me for my address.” She did. I try to find humor in everything and make everything positive. But I guess in another way, it’s like “Dang, when is she going to find some stability?” I just don’t know. I’d love to reply back to everyone and tell them to save this address because I am going to be here for a while. But the reality is, I really don’t know where I am going to be next Christmas. But I love that people keep thinking of me. My favorite part of Christmas is getting the Christmas cards. My cousin died recently, so I went back home to Flint, Michigan for his funeral. I don’t go home that often, but it’s an amazing family on the Miller side. They are awesome and super supportive of me. But they can’t keep track of me. I’m not kidding. It was, “Hey Cuz, I saw your game on TV.” I said, “You did?” I was thinking to myself, “You get the ACC Network in Michigan?” They said Wisconsin was looking good. They thought I coached at Wisconsin. I never coached there. I did coach at Nebraska, but that was like five years ago. Another cousin grabbed me and wanted to introduce me to her boyfriend. She told him, “This is my rockstar cousin. She coaches in the WNBA.” I was like, “I don’t coach in the WNBA.” They can’t keep up. They know that I coach, but they can’t keep up. Right now I am walking my dog and wearing a Clemson coat, a pair of Nebraska sweats and a Texas Tech ski cap, and, of course, a Detroit Lions sweatshirt. I always keep a few things from the places I’ve coached, but I always want to make sure someone benefits when I get fired. Almost 95 percent of my stuff I give away to people who actually need it. When I left Lubbock, I donated a bunch of Texas Tech backpacks and tennis shoes to an orphanage for kids I had done some volunteer work for. I took a lot of clothes to a women’s shelter, and took socks and other things to a place that serves people struggling with alcohol or drug addiction. I give a few items to friends and family. But I always keep a few things I really like from every school I’ve worked at. It was really hard for me to grasp the first time I was fired at Saint Louis. That was literally the first time in my life that I “failed” or didn’t reach the goals I had set. In hindsight, I learned it was just part of the job and part of this profession. Sometimes you can do everything right and still lose your job. Don’t get me wrong, I did a lot of things wrong to really contribute to me losing my job at Saint Louis. But in many situations, there are a lot of things out of a coach’s control. I was at a speaking engagement a couple of months ago, and one of the questions asked was what was my favorite place I have worked. I was at Texas Tech at the time, so I said Texas Tech. When I was at Nebraska, it was Nebraska, and it is the truth. I am not lying. Paradise is where you are and your favorite job and favorite place to be should be where you are. Embrace it. If it’s going to happen, it’s going to happen so embrace it. Let’s put this in perspective. I am always in awe every time I fly back home. I am literally just a kid from Flint, Michigan. I still have a 56-year-old brother who has never been on an airplane and he’s lived in Flint his entire life. He was born in Flint and he will die in Flint, and just in four days alone I have been in Chicago, New York, Alabama and here in Clemson. I’ve lived in the Pacific Northwest, I’ve lived in the desert, I’ve lived in West Texas and I’ve lived in Nebraska. I am from Flint and I lived in Nebraska! That is wild! I couldn’t even tell you where Nebraska was on a map when I was in high school. The worst part about moving around is the utilities, finding a dentist and finding a place to get a decent haircut. But if that is the worst thing you can say about getting fired and relocating, you’re doing pretty good. I wouldn’t take any of it back because I have relationships with people that have enriched my life in ways I never thought possible. I am better because of the years I spent at each place. Someone said to me, “You must have seven lives in coaching. How do you keep getting jobs?” Because I am good at what I do. I may have seven lives, but I have eight NCAA tournament watches and three conference championship rings. My career path may not be what I have chosen or predicted, but that is not a bad thing. It’s kind of a cool thing. I’m just a kid from Flint, and I’ve literally lived all over the country and experienced so much. I’ve met some really awesome people, I have a lot of different gear and I get Christmas cards sent to me every year no matter where I am. 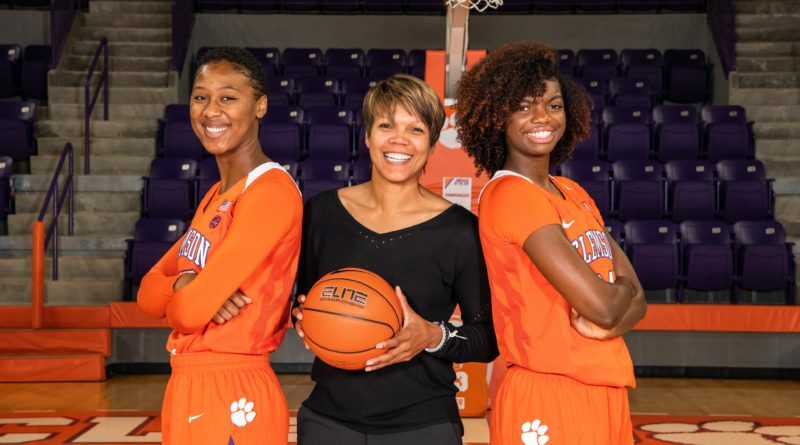 Shimmy Gray-Miller is in her first season as an assistant coach for Clemson women’s basketball under coach Amanda Butler. She’s previously been an assistant at Arizona, Washington, Nebraska, Florida and Texas Tech. Gray-Miller served as the head coach at Saint Louis University for seven seasons. You can follow Coach Gray-Miller on twitter @shimmy33 and on Instagram @shimmygraymiller.